Camden County will receive a 10 percent reduction in electricity costs thanks to their participation in the South Jersey Power Cooperative (SJPC). This will result in a savings of $730,000 on Camden County’s electric bill over the next 20 months. “This partnership reflects Camden County’s commitment to cost cutting and fiscal responsibility. 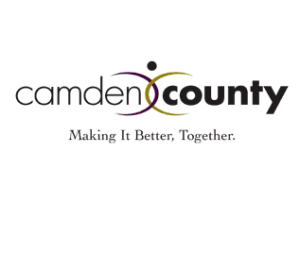 By purchasing electricity in bulk, Camden County government and its related agencies are increasingly becoming leaner and more efficient, thereby saving taxpayer dollars,” said Freeholder Deputy Director Edward T. McDonnell. The SJPC is an innovative partnership formed to purchase retail electricity at a significant savings thanks to the group buying power and diversity of its governmental participants. Members will reduce their electric unit prices on average from 8.5 cents per kilowatt hour to 7.5 cents per kilowatt hour. The contracted rate will translate into a combined savings of $1.2 million per year for all participants in the SJPC. The overall savings reflects a difference of $3.8 million dollars over standard electric bills for member agencies. Camden County has participated in bulk electric purchasing since 2004 when the SJPC was formed. In addition to Camden, the SJPC includes the Counties of Atlantic, Cape May, Cumberland, Gloucester and Salem, along with k-12 school districts, vocational-technical schools, municipalities, utilities authorities and county colleges. In total, there are about 65 participating municipal entities. As the lead agency, the Camden County Division of Purchasing receives bid proposals on behalf of the SJPC for almost 400 facilities located throughout PSE&G and Atlantic City Electric territory resulting in millions of cumulative savings for all SJPC participants.